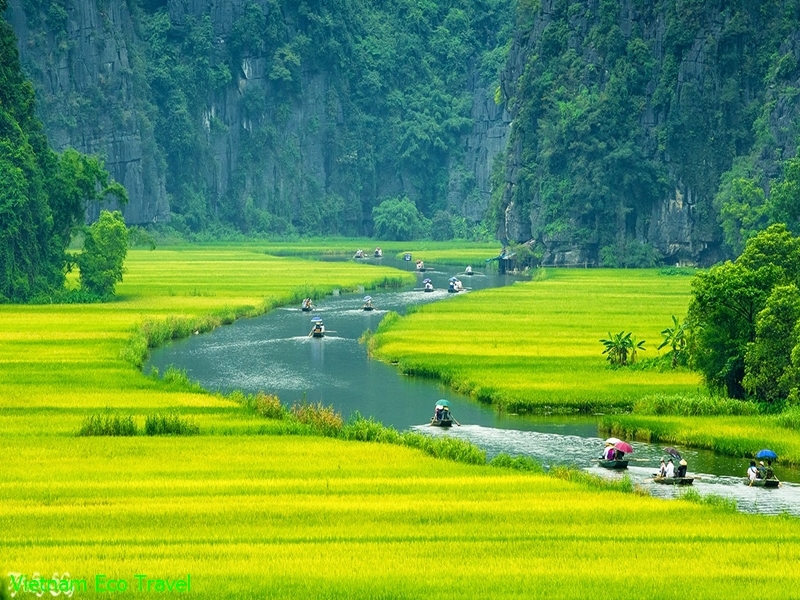 Located near Hanoi, Ninh Binh now becomes one of the must - see attractions in Vietnam. 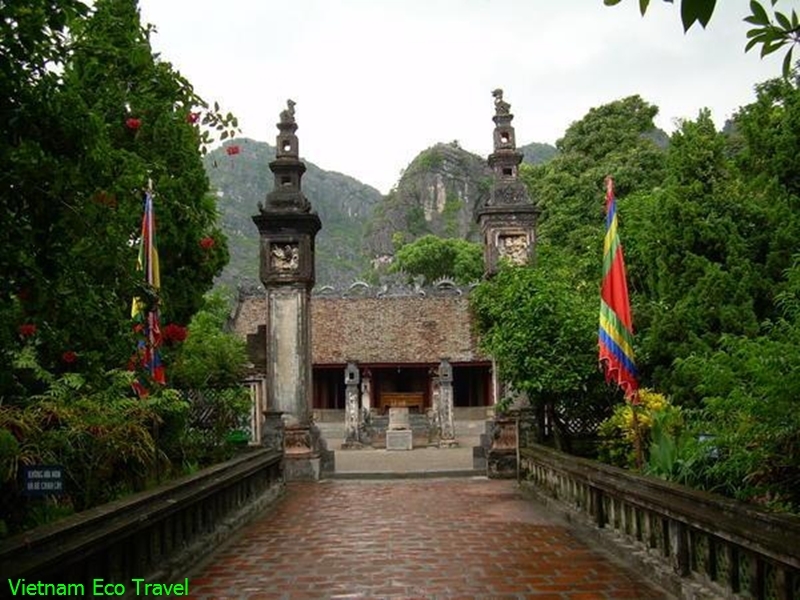 Hoa Lu and Tam Coc are 2 beautiful destinations in Ninh Binh to visit in one day, combines natural landscape and historical site.Visit Hoa Lu Tam Coc Tour, this trip take you from Hoa Lu which is the historic capital of Vietnam, ancient land enriched to Tam Coc – Where there is a different name Halong Bay on Land. 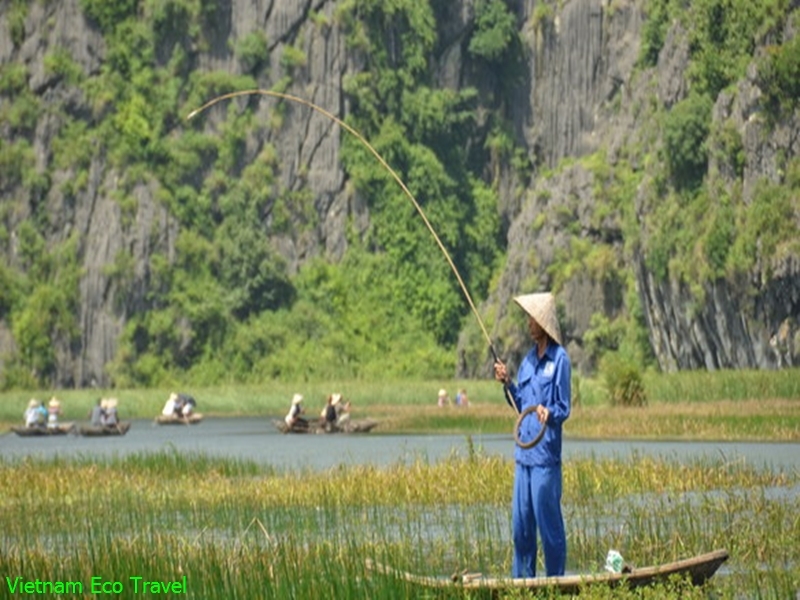 Enjoy Hoa Lu Tam Coc Day Tour with Biking, Cooking class, Fishing organized by Vietnam Eco Travel. 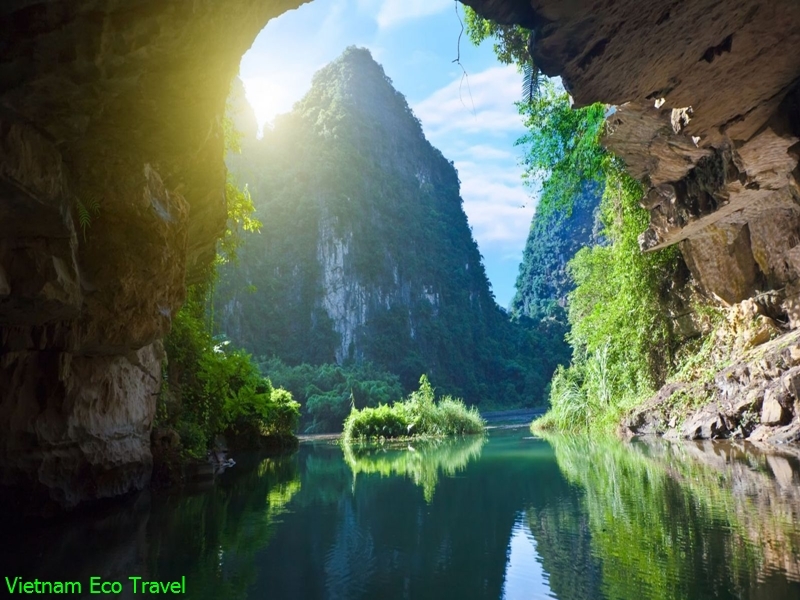 - 2:00 - 2:45 Pm : Join in boat trip in Tam Coc to see natural and amazing scenery of this landscape with 3 magical grottos: Hang Ca (First Grotto), Hang Hai (Second Grotto), Hang Ba (Third Grotto). 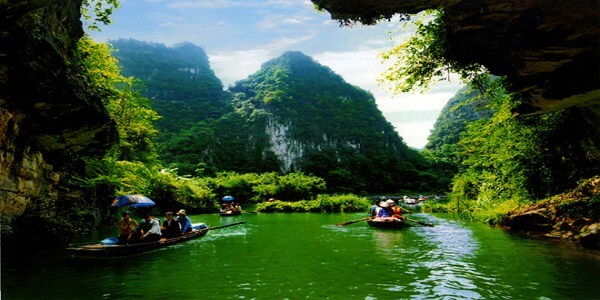 Especially rowing boat through Ngo Dong river to see rice field is a awesome experience. 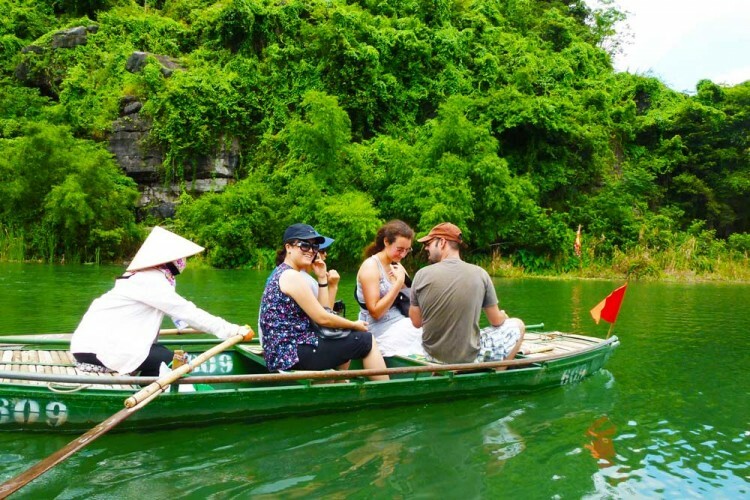 - 4:00 – 4: 45 Pm : Finish the boat trip, back to Tam Coc Wharf. 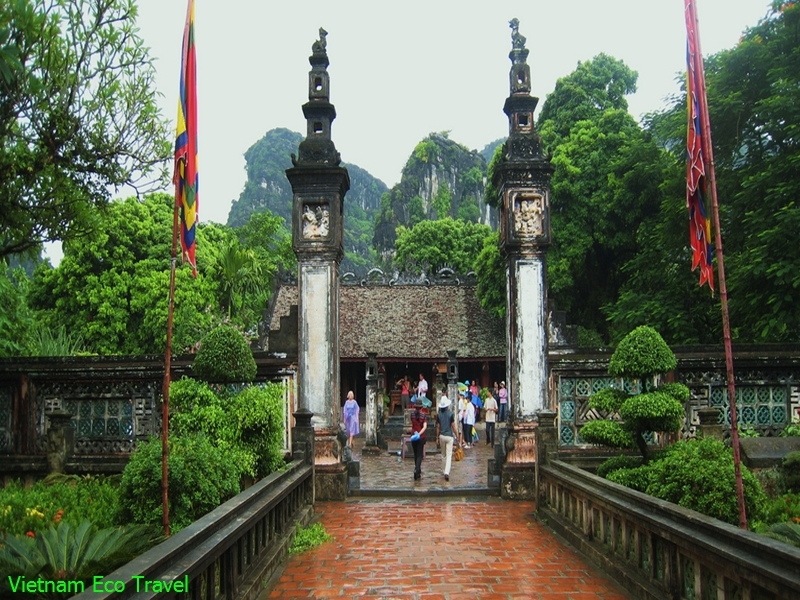 - 5:00 – 5:15 Pm : Go to our office in Ninh Binh city to take a rest, drink coffee or tea, talk with locals to understand about our culture ( about 30 – 40 minutes). 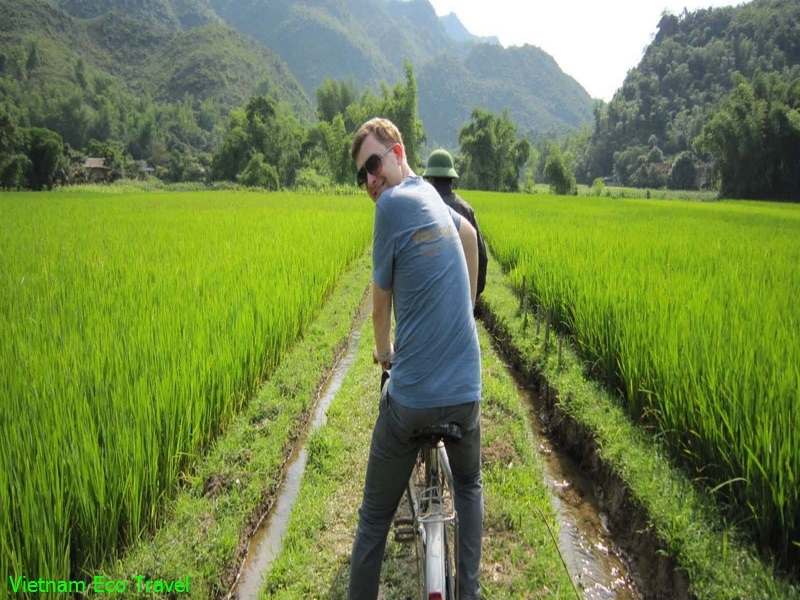 - 7:30 – 8:15 Pm : Arrive back to Hanoi and drop off at your hotel/hostel. 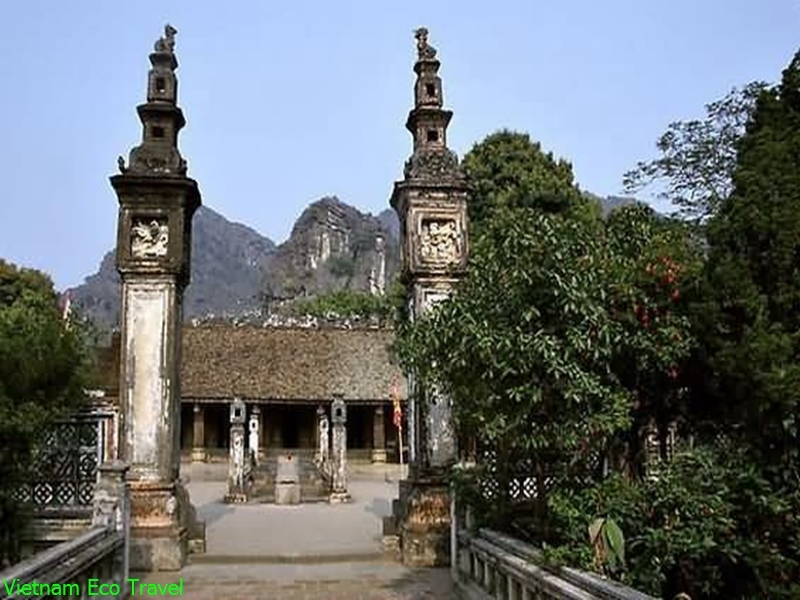 What do you think of Unique Hoa Lu Tam Coc Tour?